I’ve had requests to see the whole quilt, so here is Simon in the Garden. Now you know why I usually use a cropped image-it is wonky! Every couple of years I block him back into shape, he’s square and flat for about a month, then sags back where he wants to be. But, hey, I made this in 1993, and I am happy that my work has improved some. 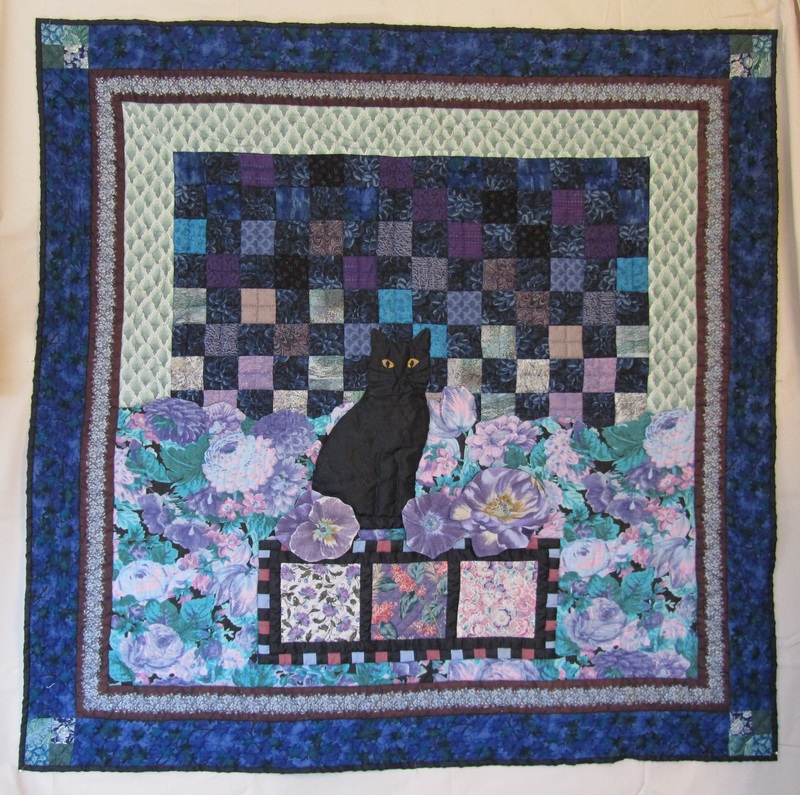 This was a finalist in Quilter’s Newsletter’s contest, “Evening In The Garden”. You know, back when we mailed in slides to have our work juried in… The cat is taffeta, there is broderie perse, and quilted 3-D flowers, slightly radical stuff back then. And all hand quilted- I don’t do that anymore! I love having Simon’s image around me daily, as he was a truly wonderful cat. To see more (better) applique, go to Angie’s Applique Thursday page on A Quilting Reader’s Garden (she was so kind to invite me).